SilkPeel is the very latest in microdermabrasion, but SilkPeel offers several added benefits. Like microdermabrasion, it removes the dead skin cells from the surface of our skin that cause our skin to look dull. What makes SilkPeel unique is that it also infuses nutritious solutions into the skin at the same time. It does all of this without the discomfort normally associated with traditional microdermabrasion. 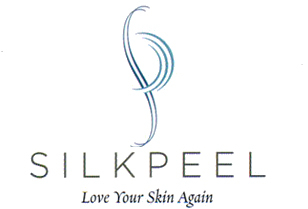 Silkpeel goes far beyond traditional microdermabrasion. It utilizes a patented hand piece that combines medical-grade diamond treatment heads with a pneumatic vacuum system to achieve Dermal infusion. It is an advanced skin rejuvenation procedure that simultaneously exfoliates and evacuates while delivering nutrient-rich and condition-specific topicals deep into the skin. The diamond treatment heads utilized by SilkPeel make the treatment much more comfortable than the abrasive particles used by traditional dermabrasion procedures. It also eliminates the grittiness and risk of health concerns of aluminium-based crystals used by older technologies. SilkPeel is a clinically proven concept of skin resurfacing and can be used by itself, as a way to optimize your laser treatments, or as a finishing touch to a facial surgery procedure that you may have had elsewhere. As a stand alone treatment, in combination with a SkinTyte procedure, or as a finishing touch to skin rejuvenation, a SilkPeel treatment will make your skin look and feel absolutely wonderful. 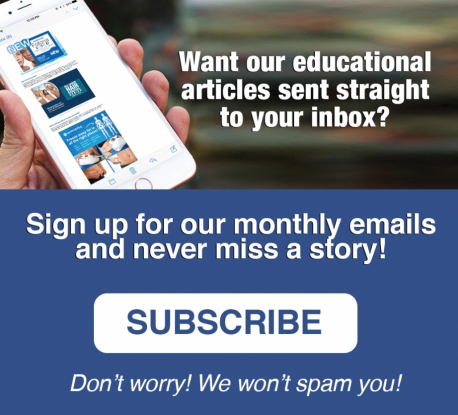 Be sure to click the links at the side to learn more about each of the four nourishing solutions that can be delivered to your skin through this exciting new technology. SilkPeel is a combination therapy that ex-foliates the epidermal layer of the skin and treats the skin to nourishing solutions simultaneously. It's a Risk Free treatment, As a stand-alone treatment or in combination with laser or other light procedures for pigmentation, Lumixyl with SilkPeel Dermalinfusion will not elicit irritation or allergic reaction. Acne is a chronic condition that affects people of all ages and skin types. The SilkPeel Dermalinfusion Clarifying Formula provides relief for the most sensitive, acne prone skin, promoting a clear complexion overall and improving the appearance of cystic and pustule acne. CLEAR—SALICYLIC ACID: Promotes cell turn over, unclogging pores and enabling the production of new cells and clear skin. SOOTHE—ALOE: Calms the inflammation and irritation associated with acne. The SilkPeel Dermalinfusion Lumixyl Solution employs cutting-edge peptide technology to improve the appearance of discolouration and achieve a more even tone overall. CLARIFY—LUMIXYL: Naturally occurring amino acids help to diminish dark spots caused by age and photodamage without the use of abrasive chemicals. BRIGHTEN—LUMIXYL: With no risk of irritation, the powerful peptide can be used continuously to achieve a brighter complexion and even tone. RADIATE—LUMIXYL: The combination treatment leaves your skin feeling fresh, healthy and luminous. Fine Lines and Dryness | Re-awaken your radiance with SilkPeel Hydrating Serum. SMOOTH—HYALURONIC ACID: Reduces the appearance of fine lines, wrinkles and improves overall texture. HYDRATE—ALOE: Provides hydration to quench thirsty skin. Sun, stress and pollution can take a toll on skin at any age. If your skin is looking tired and dull, SilkPeel with Vitamin C Solution is your answer.The potent antioxidant formula helps to brighten, ex-foliate and infuse your skin with an arsenal of targeted antioxidants to protect against free-radical damage. CLARIFY—Tocopheryl Acetate: A stable derivative of Vitamin E, helps protect skin from photo damage and improves the appearance of scars and wrinkles. HYDRATE—ALOE: Provides extra hydration leaving skin soft. BRIGHTEN—SODIUM ASCRORBYL PHOSPHATE: A derivative of Vitamin C, helps brighten dull skin and provides a secondary line of protection against photodamage in conjunction with a sunscreen. SOOTHE—ALLANTOIN & DIPOTASSIUM: Anti-inflammatory soothes the skin.